Unique panoramic views in true perspective. 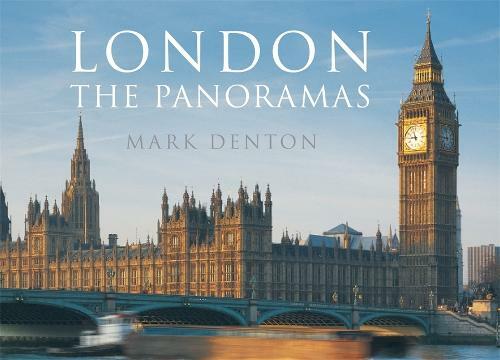 Shot entirely with a classic panoramic camera, Mark Denton's distinctive photography reveals some of the finest ever wide views of London. This new, revised and updated edition, offers a unique introductions to the city's spectacular architecture and heritage. The majority of the images are taken in the magic hours of dusk and dawn, offering new interpretations of the most recognisable landmarks. Having water determinedly as long as it took to achieve the perfect light and weather conditions, Denton has succeeded in bringing an entirely new perspective to his portraits of this city. Among the extraordinary views here are the high level vistas from Tower 42, the Monuments, the Park Lane Hilton and the London Eye, as well as new images of the great parks and open spaces. In London the past and present go hand in hand. As one of the world's most visited cities, it remains a constant focus of historical and architectural interest and change. In London: The Panoramas, Mark Denton's remarkable images bring out those elements of rich heritage and renewal.